Does a Pest Infestation Have You Buggin’ Out? Top-Notch Service for Every Customer, Every Time. We are a full-service termite control, pest management and wildlife removal company. We are family-owned and operated, with a combined 65 years of quality experience in the industry, and we believe this is the driving factor behind our company’s stellar reputation. We treat each of our customers as members of our family, never leaving a job until they’re completely satisfied and their home or office is pest-free! We don’t put our final stamp of approval on any job that we wouldn’t be satisfied with in our own homes. Our experienced technicians are able to find the problem pest areas quickly and deliver a solution that works. While other companies can rid properties of infestations, they can’t always keep them from coming back. Trust the professionals at Parish Termite & Pest Management, Inc. with your pest needs, you’ll be happy you did! Parish Pest is Now Offering Professional Mosquito Control. Act Now to Get a Discounted Introductory Rate! If you like grilling, gardening or spending time outdoors with friends and family, mosquitoes can make your outdoor experience miserable. Who has time for fun when you’re spending the entire time outdoors swatting pesky bugs? Call the Pros! DIY mosquito control products leave a lot to be desired. Retail insect control products often don’t pack the power needed to noticeably reduce the insect population in your backyard. Professional services are growing in popularity as treatments become increasingly effective. When it comes to dealing with annoying insects in your backyard, our system can’t be beat. Our Solutions - Getting the Pests Out and Keeping ‘Em Out! Our commercial and residential solutions include pest identification, pest control, termite control, termite inspections, pre-construction soil treatments, one time services, bi-monthly services and monthly service as needed. We exterminate fleas, bed bugs, cockroaches, earwigs, spiders, beetles, “stored food pests,” crickets, silverfish, bees, wasps, rodents, termites and pretty much anything else crawling around where they shouldn’t be! Due to the advancing technology in the pest control industry, we use products and techniques that have a significant reduction in odor and the least amount of physical contact with humans and pets. Our services are performed to ensure the highest amount of quality control with integrity, honesty and overall dependability. Our technicians are trained in their specific field of expertise using the latest techniques or products available for residential, commercial or industrial pest control. We’re the company that understands occupant sensitivity and concerns. Parish Termite & Pest Management, Inc. also offers wild animal removal and control. We use live trapping, netting and exclusion techniques to safely trap the critters. Unwanted small wildlife animals such as squirrels, skunks, opossums, raccoons, bats and the like can cause unnecessary damage to yards, foundations and structures. These wildlife animals can carry disease and can also contribute to other unwanted pests such as fleas, ticks and mites. Parish Termite & Pest Management humanely rids your property of unwanted animals, without causing further damage to your home or business. 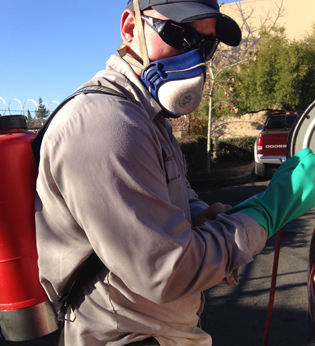 We have been proudly serving the Northern California area for over 16 years and our technicians service both residential and commercial pest influxes. We can handle any size situation, whether it be a large insect infestation in your garage or a few raccoons outside of your office building. Pests are inconvenient and will only continue to terrorize your home or office the longer they are there. We come directly to you and will quickly handle the situation so you can get back to your everyday schedule. We work with everyone involved to control the pests with the least amount of disruption and inconvenience to all occupants and owners. Our team has a passion for keeping you and your family or coworkers safe! We are licensed, insured, bonded, and prepared for any pest situation you can throw at us. We do what we do because we take great pride in our work and pride ourselves on our amazing reviews. Our techniques and technology are top of the line, and we are constantly bettering our education with continued training. Our experienced technicians are all highly trained in the field, with over 60+ years combined experience. We promise quality service to each customer, and will always go above and beyond our customers’ expectations. Our unrivaled customer service puts us light years ahead of our competitors; there’s just no comparison!